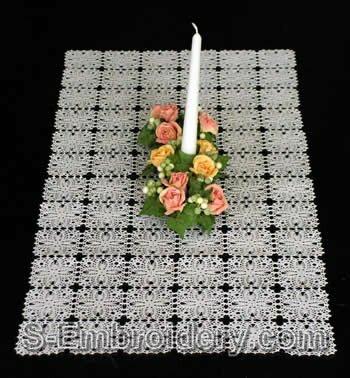 This elegant freestanding lace crochet machine embroidery design will let you create a fine doily or table runner with a "hand made" look. There are no limitations to the size. 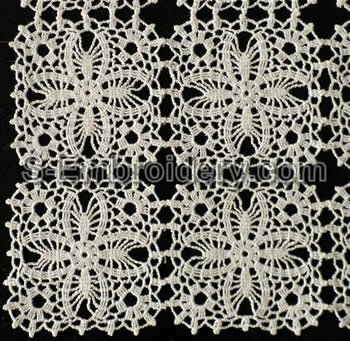 You just stitch out the crochet square as many time as needed for your project. 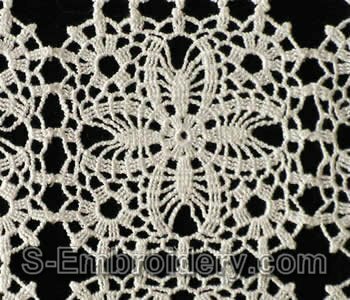 Our delivery includes an information file in PDF format and a machine embroidery file, containing the design. Note: This design will fit in 4x4 hoops.